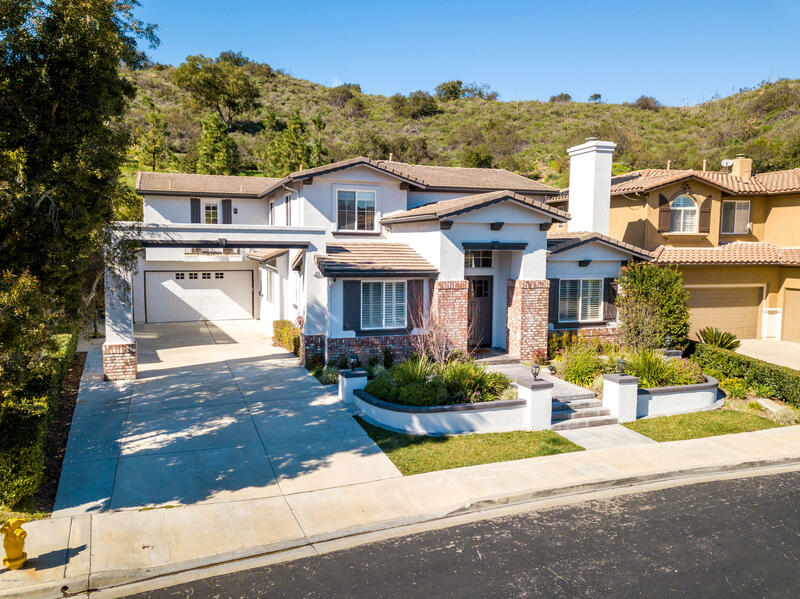 The home exudes pride of ownership, located in family-friendly community of Newbury Park. Private gate and situated at the end of a cul de sac the home offers: 5 bedrooms/ 4 baths, over 3800 sq. ft. of living space on a spacious 11, 724 sq. ft. Lot. Open floor plan, high ceilings, updated baths, incredible outdoor living space for entertaining. Newer above ground spa included with the home, plenty of room for pool, grassy area. Nearby shopping, dining, and top rated schools. Best value buy in Newbury Park. Easy to show.